Greek styled Roasted Brussels Sprouts – Olive For Greens. Mediterranean and Greek food are my favorite! There is a fresh, flavorful element to it all that I cannot get enough of! With my new found love for Brussel sprouts, this combo to dynamite. This recipe is great as a side dish for you next dinner. I hope you love it as much as I do! Toss Brussel sprouts in olive oil, herbs, salt and pepper. Roast for 15-20 minutes-until golden. Turn off the oven. 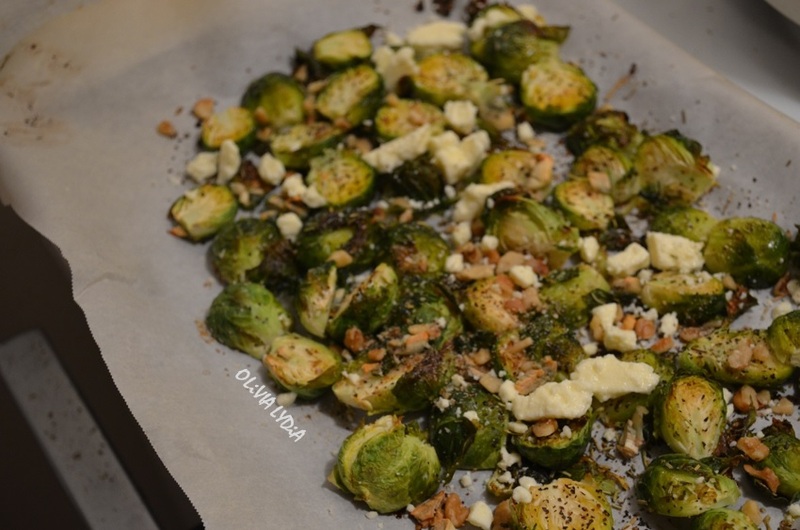 Top roasted Brussel sprouts with feta and walnuts, if desired.